Overcoming low self esteem is a choice. Understanding and using the Secrets of Behavior Change combined with our self esteem activities and exercises will produce dramatic RESULTS in your self esteem and confidence. 1. You are responsible for what you think, feel and how you behave. YOU HAVE A CHOICE to accept this responsibility or abdicate it. Either way it is a choice – your choice. You are the author of your life and your mindset directly influences your destiny. 2. IT IS NOT the events in your life that “cause” you to feel a particular way, for instance: sad, angry, upset, happy, content or loving. It is what you think, feel and believe about the event, your interpretation and definition, that is the “cause” of your feelings. 3. 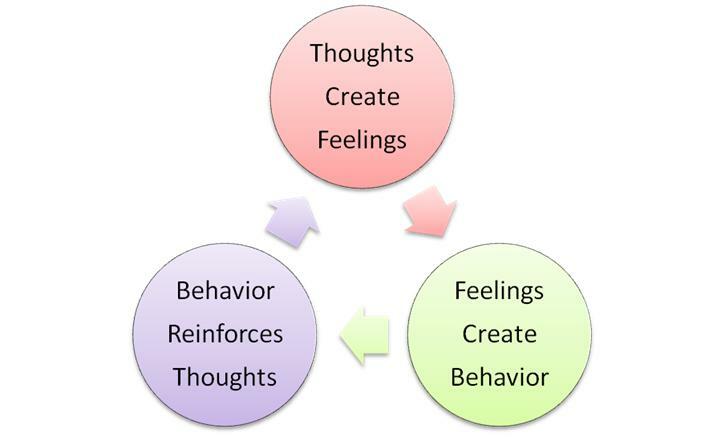 Your thoughts create your feelings and your feelings create your behavior and your behavior reinforces your thoughts. You arrive late to a party. As you approach a group of friends you notice that they abruptly stop talking. Your automatic thought is, ‘I bet they were talking about me’ and you automatically feel self conscious and hurt. Driven by your feelings you immediately make-up an excuse to leave the party. People don’t like me - I feel self conscious and hurt - I avoid the people who I assumed were talking about me. Buy the Complete Special Report for only $5.99! Instantly Download this Special Report. We have done the research for you and distilled the Secrets of Behavior Change down to easy to understand ideas and examples. This Special Report is specifically designed to help you learn the Secrets to Overcoming Low Self Esteem. We provide step by step guidance for overcoming low self esteem.